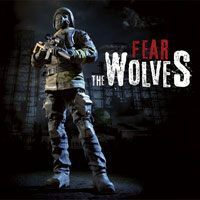 Fear the Wolves is a multiplayer-focused shooter developed by Vostok Games – a studio founded by the co-creators of the S.T.A.L.K.E.R. series. Vostok Games previously created the popular Survarium. The new game was published by Focus Home Interactive. Similarly to the above-mentioned S.T.A.L.K.E.R. series, Fear the Wolves takes the player near the nuclear plant in Chernobyl. The nuclear disaster that occurred there in 1986 had greatly altered this area. In Fear the Wolves the action is presented from the first-person perspective. During the game the players participate in battle royale matches – they are taken to a vast map on which one hundred players are facing each other. The last man standing is the winner. In order to win, the players need proper tools – although the matches start with basic equipment, weapons and gadgets can be found on the map. Using them is required for victory. It is worth remembering that other players aren’t the only threat – the players must also face aggressive, mutated animals, various anomalies and territories corrupted with radiation. To survive visiting such areas, players must wear hazmat suits. Dynamic weather and a day and night cycle makes battles more interesting as well. In addition to classic battle royale mode, the developers of Fear the Wolves provided another gameplay mode that offers a new approach to this type of gameplay.